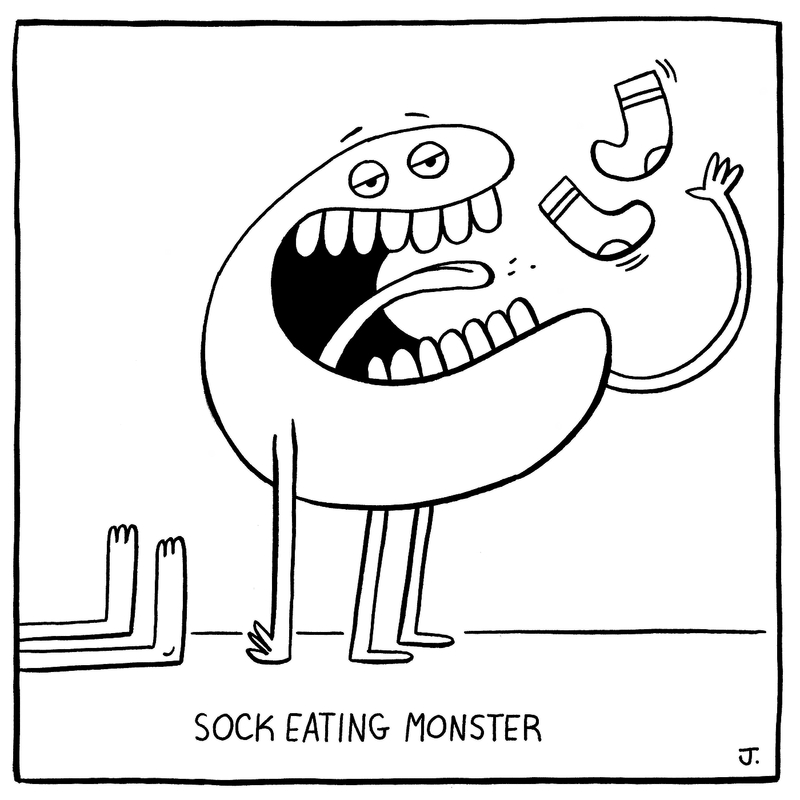 It begs the question...what condiment would go best with socks? While you ponder that, I just wanted to let everyone know that I'm back! To recap, my wife and I, along with our 2 boys, sold our home and moved roughly 5 hours (by car) from where we were living. The house hunting didn't exactly go as planned, but we eventually found and bought a beautiful lakefront home. The catch is that we don't take possession until April 2016. In the meantime, we are temporarily renting a house while we wait. My studio space was hastily thrown together, but it's functional and I should be able to post my humble doodles on a regular basis, whether you like it or not.